Enjoy hours of body-bobbling fun that's powered by the sun - no batteries needed! 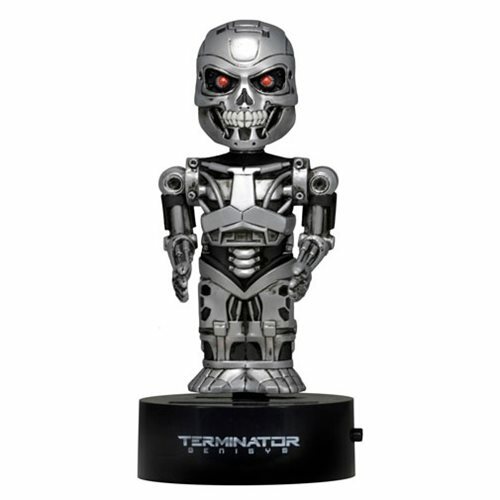 From the thrilling sci-fi movie Terminator: Genisys, the Terminator Endoskeleton measures approximately 6-inches tall and rocks from side-to-side when exposed to light. Collect the entire line of Body Knockers and watch your favorite characters work it all day long! Ages 14 and up.